Dwellings By DeVore: Goodwill Find! I added a little more fall decor too, I found these cute little wooden acorns at Hobby Lobby and added them to some moss I scooped up while on a camping tramp. I'm amazed at how well it's done and I haven't done a thing to it! Best part was, it was free! My MIL has those acorns too and I LOVE them! 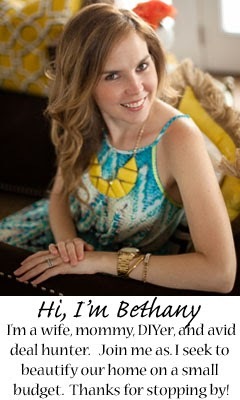 :)I cant get enough of your blog, by the way!Your home is gorgeous.